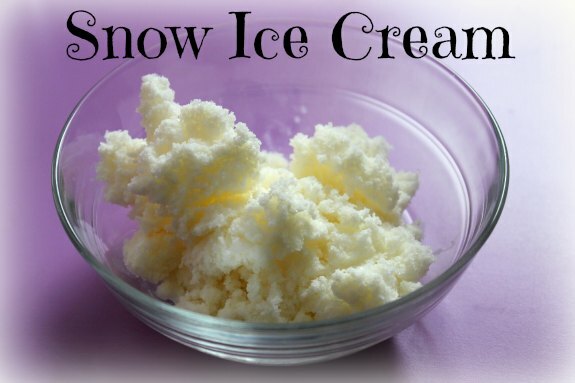 Snow ice cream is a fun, quick and easy treat you can make when you have fresh snow to work with! 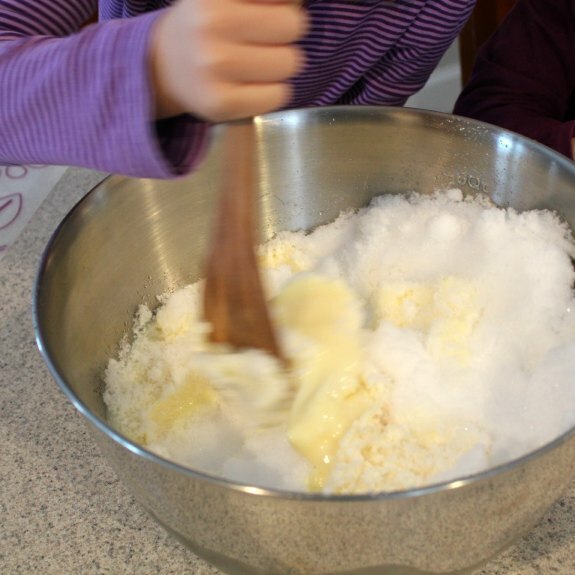 We have tried other snow ice cream recipes, but this is definitely our favorite. Place about 8 cups of snow in large bowl. I usually scoop a few extra cups of snow and keep it on the side in case I need to add it to get the consistency I want. It depends on the type of snow you have as far as the consistency you may get, so you can start with 6-8 cups of snow and add as desired. Pour the can of condensed milk over the snow and add vanilla. Mix thoroughly and serve immediately. You can also mix in chocolate syrup to make chocolate flavor ice cream! I’ve also made it using unsweetened almond/coconut milk or Half half and either Torani or Davinci sugar-free vanilla or other flavors of sugar-free syrup. That way it’s lower carb for me. Such a quick and easy to make sweet treat! Thank you for sharing the recipe. This will be our weekend activity with my grandson. Looking forward to the fun we’ll have making it and enjoying our “creation” after. Looks like a delicious treat! I’d love it with chocolate syrup and anything chocolate. I haven’t made this in so long. This takes me back to my childhood when we made it every winter. That is so fun! Or should I say snow fun! I’m in California, so I don’t have a ton of experience with snow play or snow days. But we keep saying we need to head up to the mountains to let the kids experience it. I am adding this to our snow play bucket list because my kids would adore it! I’ve never heard of this before, but it looks like so much fun! I bet our kids would have a blast making it!